Throughout 2014, I saw bloggers around me writing monthly replay posts and have always thought of joining the club but never got around to. Today as I am lazing at my parents’ place, with mom around to take care of me, pampering me with her food, I thought why not start the trend with a replay of this year and carry it on to the new year. Today is the last day of this year which has been a roller coaster ride with many highs for me. I thank 2014 wholeheartedly for all that it gave me,ending a lot of my troubles and starting a few afresh – but then, that’s life. 2014 ended what some very critical troubles which were started by the previous years and gave me a makeover in many aspects. This post lists the most significant ones – good, bad or ugly they may be, they all gave me something important. I had a major role change and domain change when I switched jobs this November. There was a lot of confusion and hesitancy around the switch as people kept discouraging me from doing what I love. But after a lot of pondering and discussions with hubby, I took the leap and so far it looks like a right decision. Hope it stays that way! I got my Honda Activa gifted by my bro for my wedding. It’s a huge blessing and helps me get a lot of things done that I sometimes feel that I don’t appreciate it enough. A cute bundle of joy in the form of my nephew came along in November and we named him Pranav. 🙂 I am so happy for my bro and may god bless the family with tons of blessings. I miss the little dude so much since he is in USA and I can’t see him in person any sooner. I console myself by looking at his pics twice a day. We lost a grandfather who was so loved and dear. He lived a great life and was the epitome of perfection. We thank him for setting a model for us, showing us how well to live life. We wish him serenity as his soul explores higher dimensions than physical existence. I read a lot of books this year and with Kindle Paperwhite aiding me, there’s a definite increase in my reading and I am glad. Hubby’s health issues are toned down and I pray earnestly that the coming years should be nothing but an improvement. That’s about it! 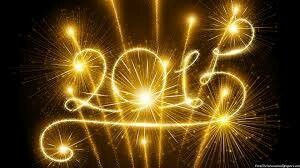 I am so excited about starting 2015 and I am sure you all are too. So signing off my last post of the year with a warm wish to all you. Wish you all a very happy new year! May 2015 be a better year for all of us, making the world a better place, letting us carry on the legacy to the coming years. Generally, I don’t get festive when Christmas comes around. The main reason being I didn’t have the annual shutdown or extended holiday concept at work till this year. But this year, I made a switch and from now on, I get a mandatory annual shutdown of 10 days approx. This made me enjoy the holiday season more and I started humming “Jingle bells..” as I drove to work. And when I saw a Santa handing out gifts to kids at the supermarket, I wanted one too. A perplexed hubby stood watching me ache for a gift from Santa. Finally as Santa didn’t even look at me (Of course, how would he know this crazy lady is still a kid at heart and wants a gift from him 😛 ), I turned to hubby and demanded in a resolved tone that he must dress up as Santa for me this year and he must give me a gift. Soon I forgot about the drama since I did it in the spur of a moment and I know hubby is not the romance freak that I am. But hubby surprised me and how! He had taken my kiddish demand to heart and had made arrangements for a Santa outfit. He had also ordered a Kindle Paperwhite for me to surprise me (He later told me that he was saving the idea for our upcoming anniversary but seeing my disappointed face when I didn’t get a gift from Santa at the supermarket, he decided to gift it early). 2. This time he decided to keep it and kept it for a while until I busted the whole thing a couple of days before Christmas by innocently peeping into his inbox and seeing the SMS of his order status. I would have still pulled it off and let him think I didn’t know if only he had not noticed me seeing it. So I guess secrets are not for us even if it is for surprising each other and I am totally fine with it because I for one, have a husband who cannot hide anything from me even if he wants to. 😛 😀 We had a totally fun and romantic time about this. Also, we ended spending the evening cajoling each other that it’s okay that the secret is out and later moved on to look at some gifts we gave each other in the past and reminiscing about it. P.S: Dear hubby, It is so cute that you did this and don’t get discouraged that I busted the first secret you ever attempted to keep. There are a lot more attempts for you to make and for me to break so that we can share a ton of laughter every time we do it. And that crooked smile of yours which hesitantly peeks when you realize that I found out what you are trying to do – I love it and would try breaking your secrets just for that. Love you! 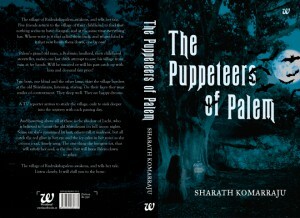 When I read Leo‘s take on ‘The Pupeteers of Palem‘ by Sharath Komarraju , I was excited and hesitant at the same time. I was excited because I wanted to read a book that Leo gave more than 4 on 5. I was hesitant because I don’t get along with spooky stories well. The only spooky tales I have read are that of Phatichar‘s on his blog and his book ‘Frankly Spooking’. Still I went ahead and decided to read it because the blurb on the back piqued my interest and luckily I won the giveaway of Leo’s post. So I started off the book with very high expectations and I must say it met everything and then did something more too. The book weaves a chilling tale around a lot of characters who come together in the end to form the plot. 1984: 5 kids grew up in the village of Rudrakshapalem listening to Avadhani thatha‘s stories when one unfortunate day, he tells them the spooky story of Lachi. The one whom none in the village talks about. 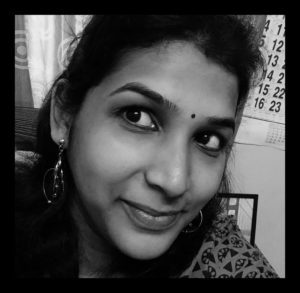 Their curiosity gets the better of them and the kids want to meet Lachi at the Shivalayam, which is her infamous haunt. Little do they know there is a bigger picture in the small snippet that Avadhani thatha told them. 2001: The 5 friends who are now in various places and phases of life decide to come back to Palem. For what, they do not know. Something pulls them back to the place where they grew up in. As they take in the village that seems so familiar yet so strange, they are hunted down – one at a time. Why are they struck down? What part of their childhood connected them to the happenings that lead to their deaths now, after so many years? Through what means does their enemy strike? In the first 70-80 pages of the book, I met a lot of characters who told me to read on but at the same time made me question why so many characters? But then, each one of them beautifully fits in the picture when the entire plot is painted. Except that, not one feature of the book ticked me off even temporarily. I read on seamlessly and my hunger grew. At times, I was genuinely scared to read on since I felt like I was a part of the story too. As the end drew, all the pieces of the plot came together and when I turned the last page of the book, I found the experience thoroughly eerie which is the best success for a book of this genre. 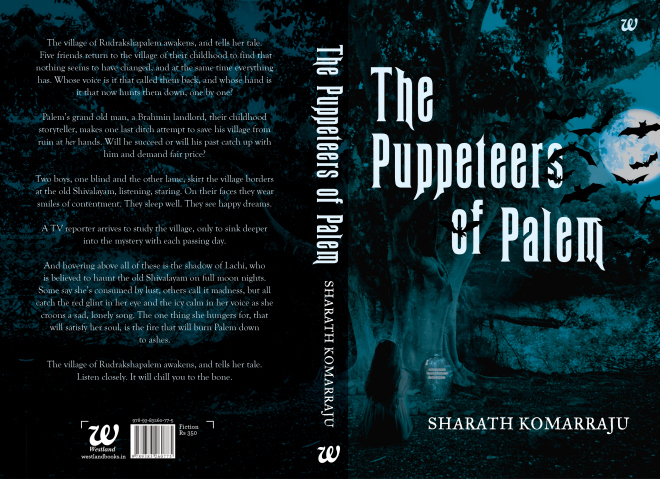 The Puppeteers of Palem has convinced me that I should read each and every one of Sharath’s books and I intend to do so. I thank Soumya so much for introducing me to this book and giving me a copy to read it too. You just gave me the cake and let me have it too. Emotions – Bundled up in a mess. I was sitting in the last row of the auditorium, waiting for the orientation session to begin. Among all the others seated in front of me, a gang of girls caught my attention. They were very noisy right from the start and the comments they were passing on each other were quite funny. From what I heard, I could clearly get that they were freshers right out of college. After a while, their topic of discussion turned to what I knew it would – Finding handsome guys from the lot and assessing them. How many times I have seen college girls do this! And it never gets boring to get the variety of views that rush through these teen minds. It never fails to take me back to those days when I was one of them. Divya: “Hey! Look at him, Is this how you come for a presentation?”. The argument continued and as I listened on I could detect that girls take beards too seriously in men. I stifled my laughter and continued to eavesdrop. Ria: You have gone blind. His name is Anurag and what’s with Divya and him? I didn’t notice. Sneha: You are the blind one, she’s been looking at him ever since he entered. But I can bet my life that she only likes his looks because of his clean-shaven look. Divya: What’s wrong with that? As long as we are assessing by the looks, I would say I am right. Priyanka: Look at your guts. But, I too agree that Anurag looks way better because he doesn’t have a beard. If only Kashyap had shaved, sigh! Ria: (Sternly) Shameless! Does any of you remember that we are not in a park but in an orientation for joining our company? All the girls giggling together in chorus : (Teasingly) Ok Ma’m! Sorry Ma’m. Ria: Shut up you guys! As I looked at my watch, I realized it was time for the session to start. The orientation session went well and during our habitual chai time after the long day, Kashyap nudged me “Come on, Anusha! I won the bet, didn’t I? Isn’t that why Anurag is dodging me?”. I couldn’t contain it anymore. I started laughing out loud and amidst laughter, I explained how Kashyap lost his bet and became the clown of the circus because of his ill-wagered bet. Kashyap and Anurag were my best friends since school and fortunately we were in the same company and represented different sections of the company to new hires on the day of induction. They both had a silly bet of the role of beard in a guy’s appearance and had come to me for mediation. While I thought it was silly of them, I was interested in making a game out of it. I took the back seat before the session started, blending in as one of the new hires and was able to get public opinion about what current teens thought about the subject. After I finished my narration of the entire conversation among the girls to a rather red-faced Kashyap, we dragged him to Barbeque nation for the treat he owed us.